Tova Environmental believes every human being deserves access to clean drinking water. Tova was founded in New Jersey, USA in January 2015. We designed a solar powered water purification system called the WS25. Tova currently has distributor agreements working with Mali, Kenya, Uganda, Zambia, Chad Republic, Congo, Liberia, Ethiopia, Egypt, Angola and lastly, Burkina Faso. 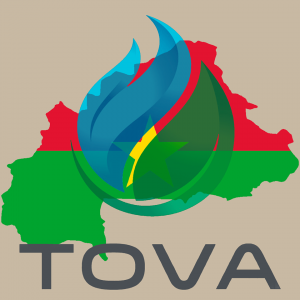 Tova is the solution for President Roch Marc Christian Kabore’s 2020 Presidential Campaign to provide Sustainable Water throughout Burkina Faso. The Tova Team takes great pride in our cause.